We did it again! But this time we wanted more! 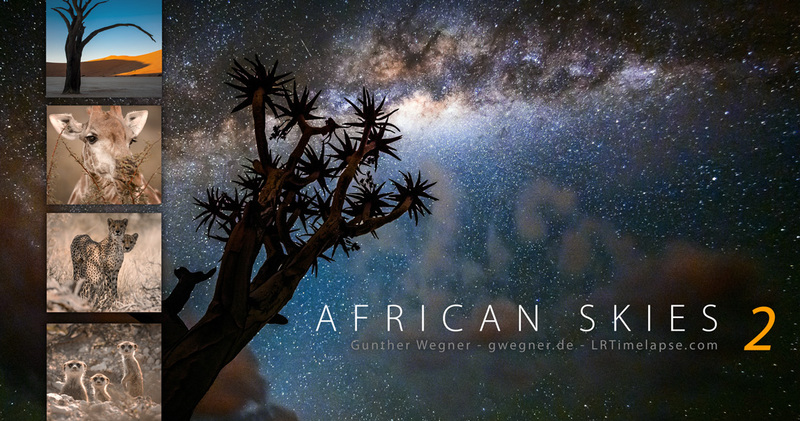 We traveled 6 weeks through the most beautiful landscapes of Namibia, Botswana and South Africa and shot literally every night – and day. We produced nearly 4 Terabytes of RAW data, shot with 4 Cameras and in total, I spent half a year on editing – by far, this exceeded the limits of African Skies 1 and any other film I did until now. This time I edited the whole film in 4K. The video footage, shot with the Nikon D800 and D7100 had to be upscaled a bit (still no reasonable 4K Film-Camera available…) – but due to their sharpness this wasn’t a major issue – the Time Lapse sequences, shot mostly with the Nikon D600 were downscaled from 6K. All of the editing and grading (video and time lapse) were done with LRTimelapse and Adobe Lightroom and then only cut in Premiere Pro – this lead to the amazing quality you can see – especially in the download-versions. The increasing industrial use by humans in Africa – like in the rest of the world – unfortunately leaves less and less space for nature and wildlife. In particular, the expanding farming industry and mining, even in protected areas, leaves devastated and contaminated landscapes, it’s really worrisome. After all, based on what we have seen in the last two years in Africa, we do not realistically believe that this development can ever be stopped – unfortunately. However, what we can and are urgently obliged to do is to strengthen and expand those reserves that exist, and help create new ones to offer at least retreat and shelter for the remaining animals. In our opinion, this can only by done by strengthening the local animal and environmental protection organizations. UPDATE – 2014, February – Thank you for your support! 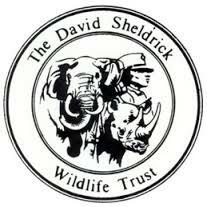 We are really happy that, thanks to your support, today we were able to donate 1015 U$ to the David Sheldrick Wildlife Trust! UPDATE – 2014, July – Thank you for your support! We were able to donate another 338 US$, this time to the Desert Lion Conservation in Namibia. 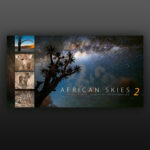 In total, with African Skies 1 and 2 and your help, we already were able to donate 2.203 US$ to Animal conservation in Africa. Thank very much to all contributors! UPDATE – 2015, January – Thank you for your support! We were able to donate another 200 US$, this time to the Lawrence Anthony Earth Organisation. In total, with African Skies 1 and 2 and your help, we already were able to donate 2.403 US$ to Animal conservation in Africa. Thank very much to all contributors! UPDATE – 2015, July – Thank you for your support! Thank very much to all contributors! We are pleased that more donations went to conservation organizations! 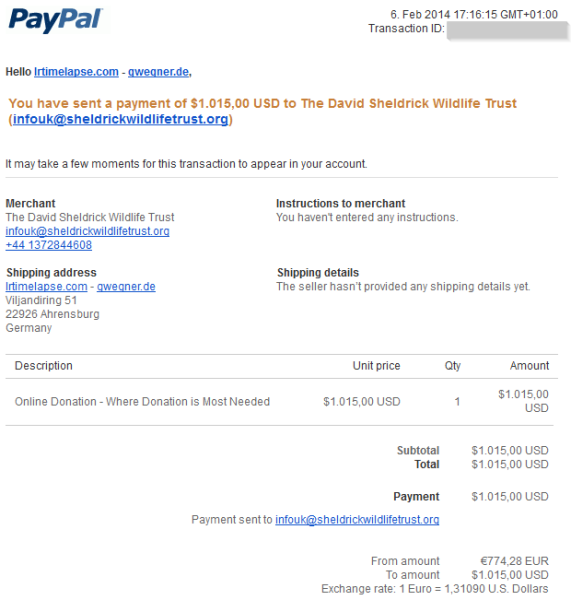 We requested Mr. Reeger to donate 75,00 Euro to WWF for protection the rainforest instead of donating directly to us. Thank you very much for this! We provided some time lapse sequences to DIRANUK and asked them to donate 720,00 Euro to „Rettet den Regenwald“ instead of paying directly to us. Many thanks for this! UPDATE – 2016, January – Thank you for your support! UPDATE – 2017, January – Thank you for your support! We were able to donate another 260 US$ to the Lawrence Anthony Earth Organisation. All Time Lapse editing and video grading was done with LRTimelapse / Lightroom 5! Thank you to all the artists for sharing this awesome music under CC license! All time lapse footage is available in up to 6K resolution. Please contact me for information about licensing footage.